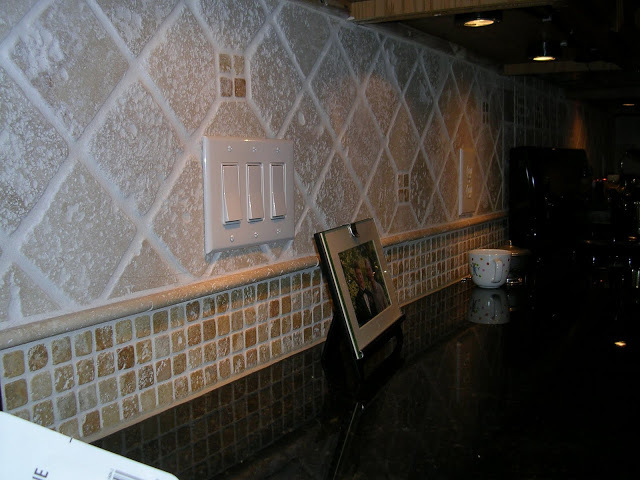 My wife and I designed this backsplash from 4×4 stone tiles, stone mosaics, and liner tiles. It wraps around 2 walls in our old kitchen and blends well with the wood tone cabinets and Uba Tuba granite countertop. After this photo was taken, we replaced the plastic switch plates with ones that look like stone – it made a nice difference.